St. Baldrick’s is well known for its head-shaving events, but there’s a growing movement at the Foundation called “Do What You Want” (DWYW). As the name suggests, these DIY fundraisers give organizers the freedom to choose how they’ll raise money for St. Baldrick’s and childhood cancer research. Jessica has a lot more to say when it comes to explaining what motivated her to become involved in fundraising for childhood cancer research. “Elena and I are both moms of kids who have had cancer,” she said. 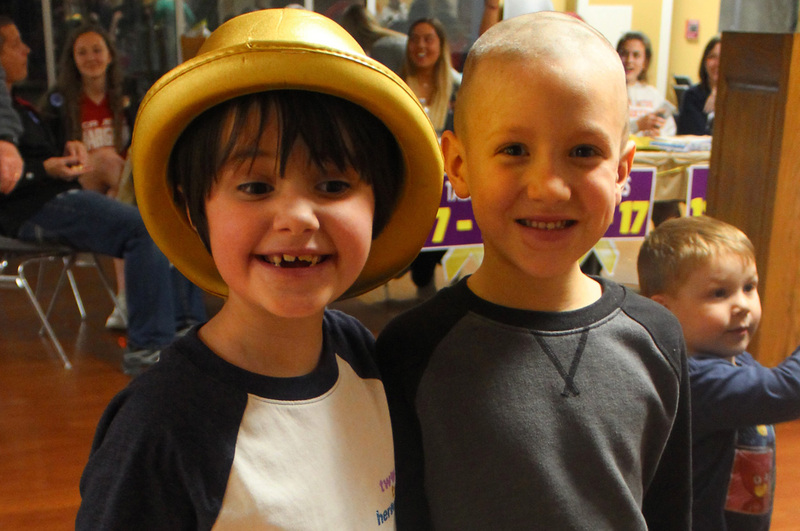 Both children underwent intense treatments for their cancers. Jessica’s daughter, Mya, was only three when she was diagnosed with acute lymphoblastic leukemia (ALL), and immediately underwent chemotherapy. Meanwhile, Elena’s son, Brendan, was diagnosed with retinoblastoma at age two and underwent ground-breaking treatment – funded by St. Baldrick’s – at Memorial Sloan Kettering Cancer Center in New York City. The good news: both Mya and Brendan survived and are currently cancer-free. Based on her experience, Jessica knows that childhood cancer research can save the lives of kids like her daughter and Brendan. That’s why she’s such a dedicated volunteer and supporter of St. Baldrick’s. 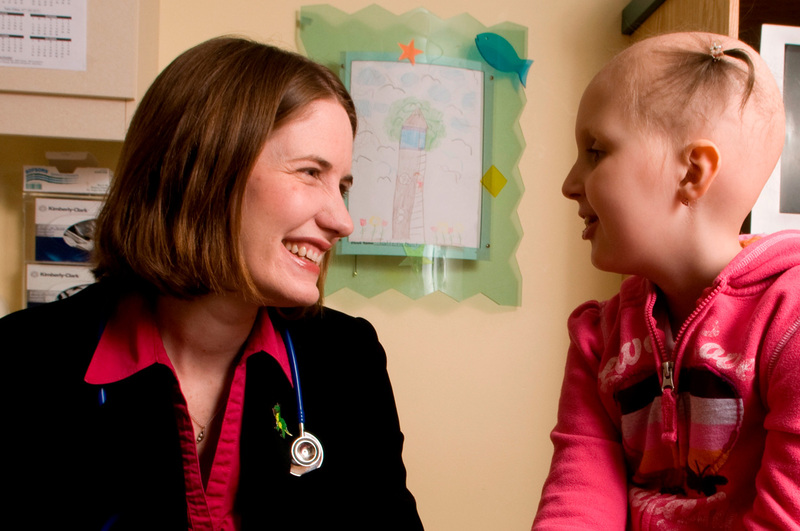 Dr. Kris Ann Schultz, a St. Baldrick’s Scholar, is helping lead the fight against childhood cancers on multiple fronts. As a pediatric oncologist at Children’s Hospitals and Clinics of Minnesota in Minneapolis, her work focuses on helping children with pleuropulmonary blastoma (PPB) – a rare cancer of the lungs – and ovarian tumors. Dr. Schultz is also behind an early detection cancer registry, known as the International Ovarian and Testicular Stromal Tumor (OTST) Registry, that’s helped identify cancer in children at an early stage. In fact, Dr. Schultz’s registry helped save the life of Andrew Flynn, who was diagnosed with PPB at just three months of age. The early detection of a cyst on Andrew’s lung helped doctors get started on his treatment before PPB could take his young life. Dr. Schultz’s registry was made possible by funding from St. Baldrick’s and Pine Tree Apple Tennis Classic, which has also raised millions for children’s cancer research. “This work would not be where it is today without their continuous support,” Dr. Schultz said of the two organizations. When she’s not saving lives at work, Dr. Schultz is helping raise money for St. Baldrick’s and other childhood cancer research. She’s an eight-time volunteer event organizer (VEO), which means she’s dedicated much time and energy to raising funds for lifesaving research. Jessica and Dr. Schultz are just two of the many amazing volunteers who help St. Baldrick’s carry out its mission of finding new and better treatments for kids fighting cancer. Join them in the fight against childhood cancers. Keep in mind that you can do this in any capacity you choose.